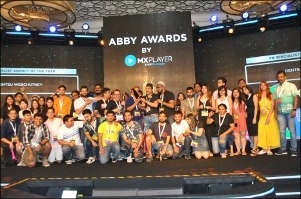 Here's what happened on the final day of Goafest 2019. 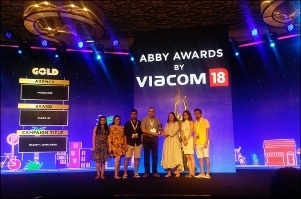 The third day of Goafest 2019 opened with high-power sessions that focused on the three tenets of the advertising and marketing industry - creativity, innovation and empowerment. Flagging off the event was a keynote session by Ross Jauncey, head of create with Google. Highlighting the ability of creativity to transform, Jauncey said, "We have never seen a more amazing time to be in the world of creativity. Today, we need creative minds who can march into the unknown." He spoke about various campaigns such as Kupu by Colenso BBDO in New Zealand that was developed to connect with consumers using an interactive app. The app helps people learn Te Reo Māori translations by exploring the objects around them. "Creative is a similar language across the world with ideas that are passionate and to that effect, your values are just as important as your product," Jauncey added. He also shared a three-point checklist for brands, "Keep your ad relevant, don't get complacent and focus on a big idea that will stand out." After Jauncey's engaging session on creativity was a presentation by Navi Radjou and Jaideep Prabhu, co-authors of 'Jugaad Innovation' and 'Frugal Innovation' who emphasised on India being a hub for frugal innovation and how 50 per cent of the contribution towards global Sustainable Development Goals will be by India. Radjou started the session by highlighting how 'Jugaad Innovation' is important to industries and what differentiates 'Jugaad' marketers is that they are very resilient and inclusive. The duo discussed campaigns by brands such as Levi's and Ikea who are looking at circular and shared economies. Radjou and Prabhu also shared the six principles of 'frugal innovation' - engage and iterate, flex your assets, create sustainable solutions, shape customer behaviour, co-create value with prosumers, and make innovative friends. To win a world championship once is no mean feat, but to win it six times is seldom heard of. A testament to resilience, humility and empowerment, six-time World Amateur Boxing Champion Mary Kom was the next speaker at the Knowledge Seminar. In conversation with sports journalist Boria Majumdar, Mary opened up about her early life and induction into boxing, the societal outlook towards women's boxing, infrastructural challenges that she faced etc. She spoke of how she kept at it without losing focus, saying, "Being a girl, it's very difficult as women's boxing is not introduced nationally as a sport. As a child, I used to be inspired by the action movies of Jackie Chan and Akshay Kumar and always believed that if men can, then why can't women?" Encouraging future boxers, Mary added, "A lot of change has come into boxing facilities since I started and we have far better infrastructure today, but what we are missing is a champion. We need more athletes to take up boxing seriously." While every story Mary shared was inspirational, the highlight of her session was when she took up the mic and sang 'What's going on', a surprise to the audience who cheered her beautiful rendition of the popular song. The final session of Goafest 2019 was the much-awaited free-wheeling chat between revered film critic Anupama Chopra and actor Pankaj Tripathi. The humble actor said, "I had come to Mumbai to survive. I didn't imagine that so much would happen." His childhood dream was to buy a tractor, but he couldn't, hence he became an actor. He had initially left his village to go to Patna to become a doctor, but instead replaced the 'doc' with 'act'. Winning over the audience with his honesty and humility, Tripathi shared stories of his days as an assistant chef while moonlighting as a theatre actor. When asked how he handled so much rejection during his struggle, he simply stated that his upbringing was difficult, so he didn't give up easily. He saw the stalwarts who attended the National School of Drama (NSD) and felt that he could also be a part of that legacy. Even through his toughest days in Mumbai, it was the same determination that kept him going. 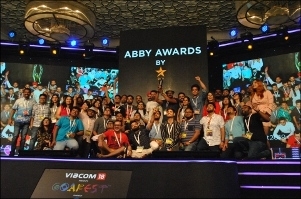 And with that, the 14th edition of Goafest concluded.